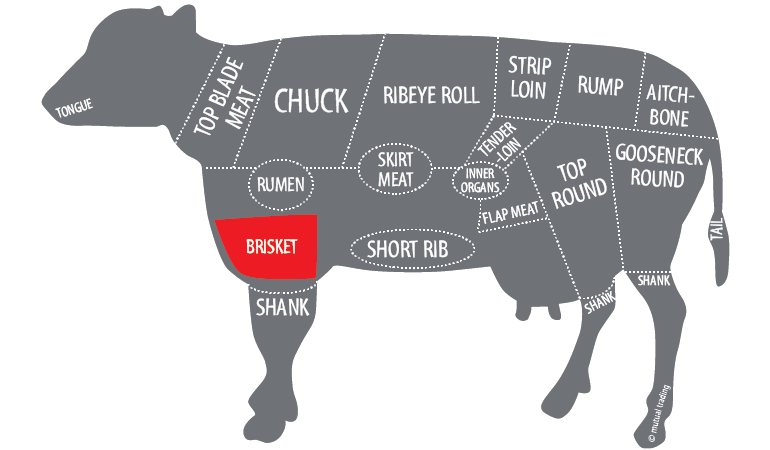 Brisket is the lower chest portion of the cattle that is rather tough comparing to its adjacent muscles but delivers more umami and exceptionally sweet-beefy flavors that lingers on the palate. 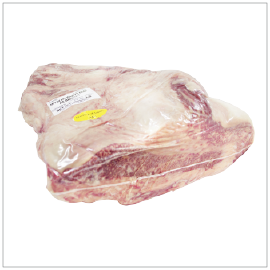 For convenience, a portion of the thick-layered fat has been trimmed off however, as Miyazaki beef fat contains significantly higher levels of healthier unsaturated fatty acids called oleic acid, this cut is especially good for slow cooking. Slice into small slivers for yakiniku, slow smoke for pastrami, or slowly braise the brisket at a low temperature for wonderfully flavorful and tender meat.